Fine Art at Nepean Arts and Design Centre: Elaine Shipp's lino print included in a new publication. Elaine Shipp's lino print included in a new publication. 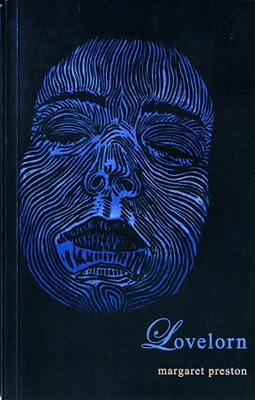 Cetificate IV in Visual Arts and Contemporary Craft student Elaine Shipp has recently had a lino print included in an anthology of poetry published in Scotland. 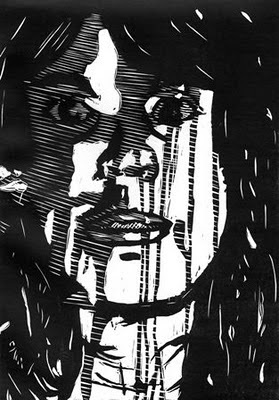 "I was contacted in May by Margaret Preston (a flautist and composer from Scotland), asking me for permission to reproduce my lino-cut print, ‘Self Portrait’ that she had seen on my blog, in an anthology of poetry entitled ‘Lovelorn’ she was self publishing", said Elaine. ‘Lovelorn’ was published in September by Matador, Leicestershire, ISBN 978-1780880-365 and is available through Margaret’s website (www.ceremony.uk.com). Congratulations to Elaine on her inclusion in the book.